At Spectrum we’ve made window blinds our speciality for over two decades, supplying and installing them to schools, councils, offices and homes across much of Kent including Medway, Ashford, Tunbridge Wells and Maidstone. Classic simplicity from a huge range of roller blinds available in many colours and patterns, all custom made to measure for you. Classic simplicity from our huge range of roller blinds available in many colours and patterns; we can even custom make a set for you. Elegant, stylish and suitable for home or the office choose from a wide pallet of colours or order a custom made set from our in store materials. 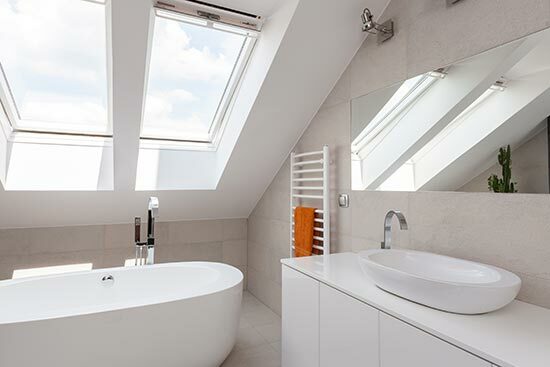 Designed specifically with Velux windows in mind their blind system is perfect for angled windows and skylights and we’re proud to be an approved supplier. Thick fabrics, soft folds and an infinite choice in colours and patterns make our Roman blinds a favourite touch of luxury around the house. The incredible new system designed for double glazing and conservatories; no screws, no drilling, no cords just perfectly fitted blinds! Available either as a pleated or venetian option. Whatever your taste, style or budget, at home or at work we’ve got the ideal window blinds for you, the experienced team to help you find them and the professional fitters to install. Contact us today and we can arrange a no obligation survey and quotation with one of our team, or drop into the store and browse samples and stock.